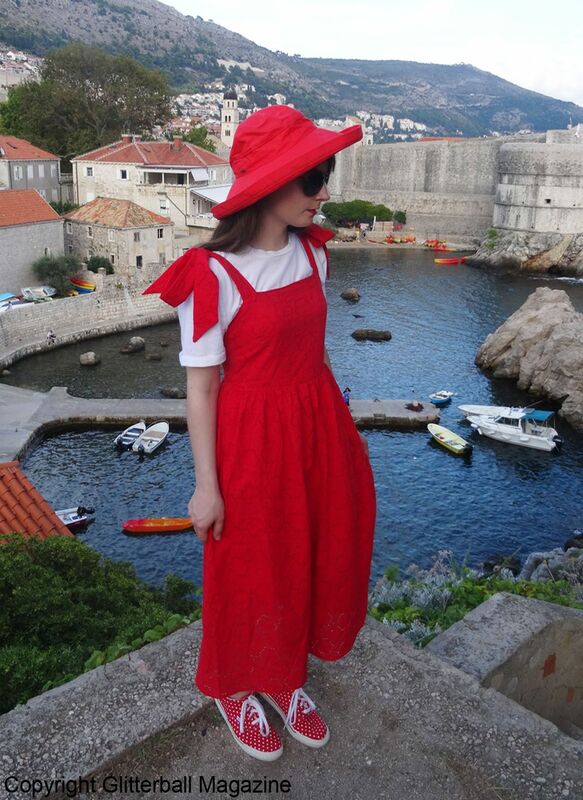 This week’s Look of the Week is from my recent holiday to the picturesque Dubrovnik, Croatia, where I took my passion for kawaii fashion with me. 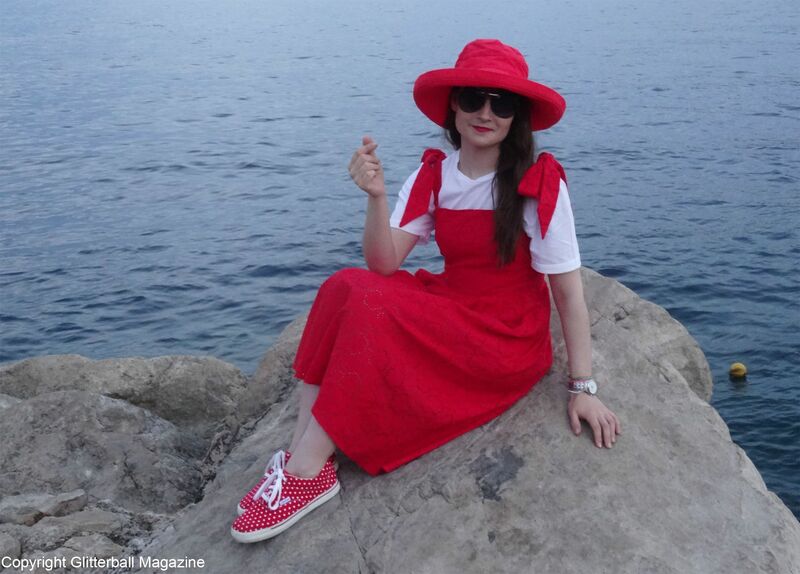 A dedicated lover of the popular Japanese fashion trend (my Tokyo Bopper platform shoes are my pride and joy), it was fun to wear a bold outfit while referencing my favourite football team. 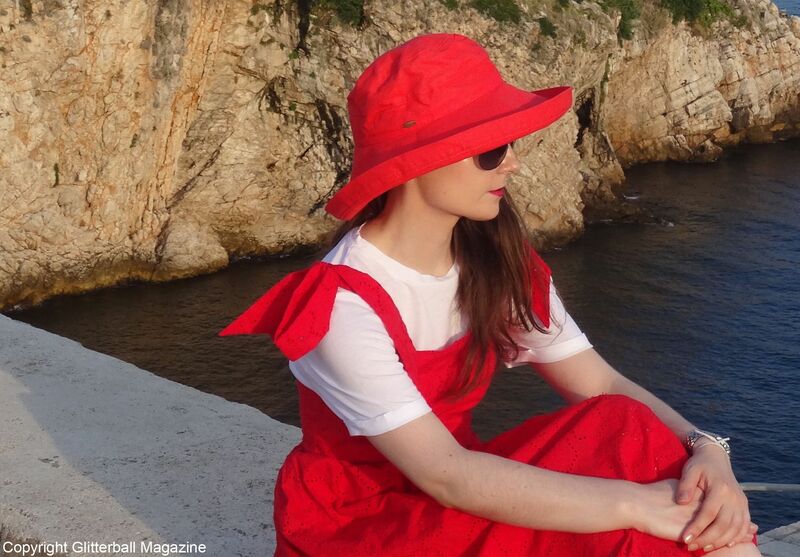 Which is Croatia, obviously. 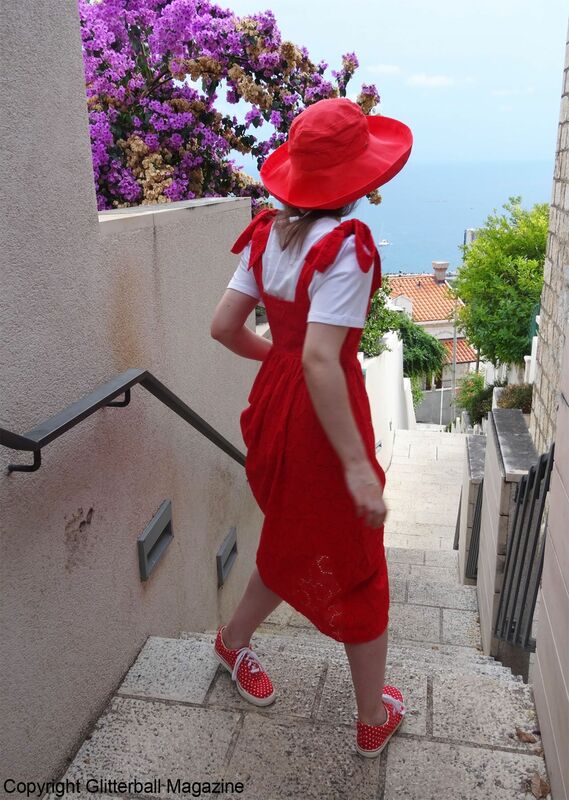 Call it World Cup fever or my undying devotion to HNS or Hrvatski Nogometni Savez (Croatian Football Federation) but there’s something wonderful about wearing a bold shade of red with white. 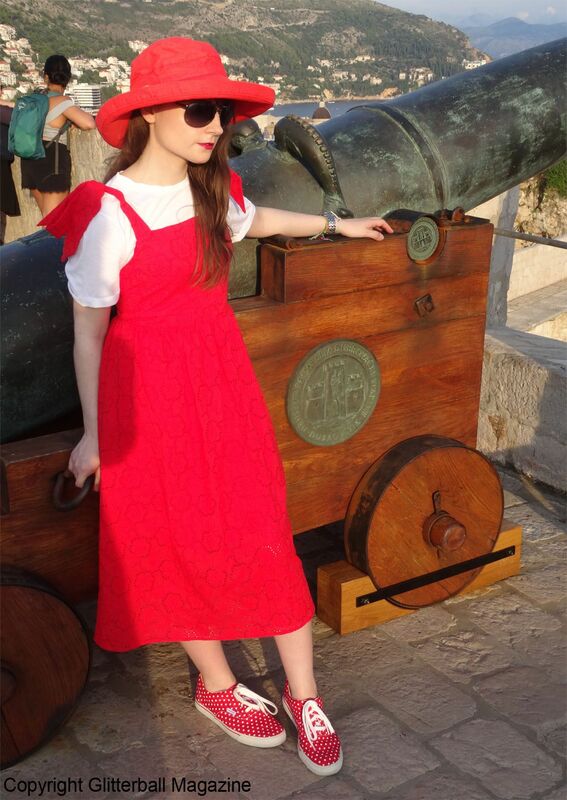 Which happen to be the two main colours in the Croatian coat of arms. 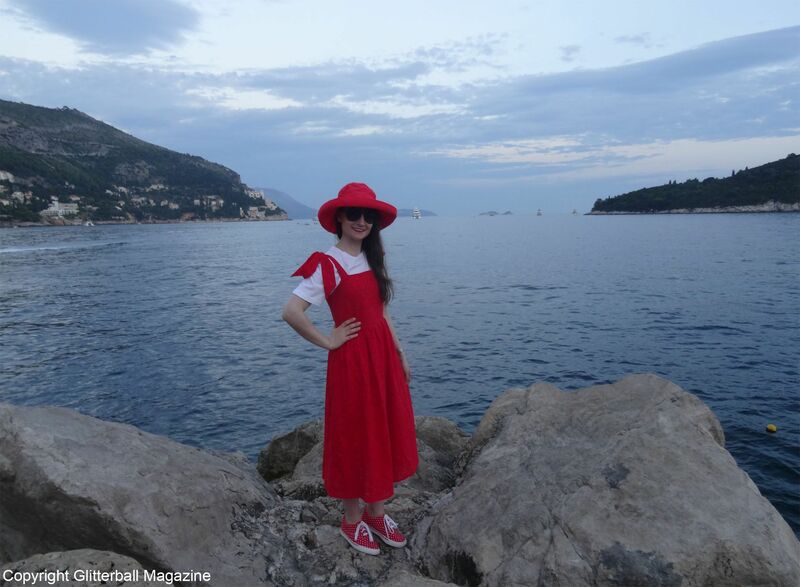 Eager football fans will know the famous Croatian red and white checkerboard very well. 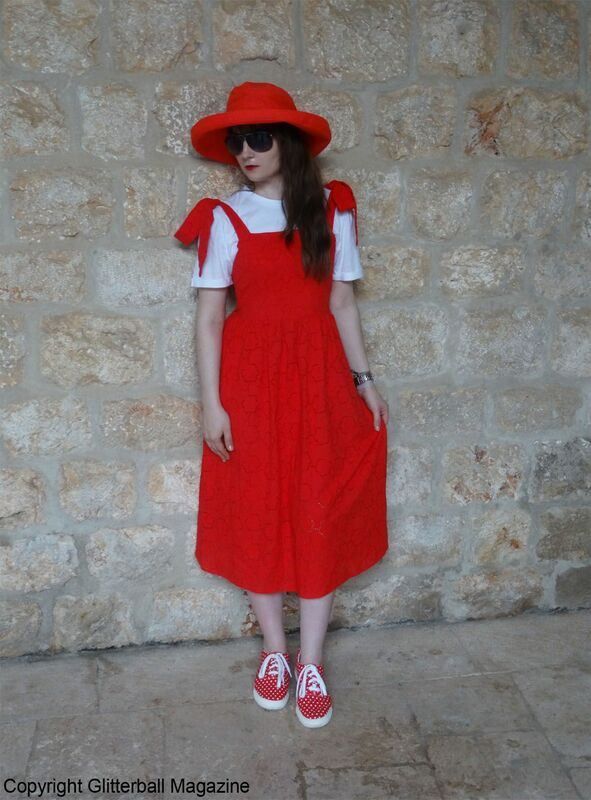 Going on holiday to a hot country can be an absolute nightmare when it comes to finding the perfect outfit. 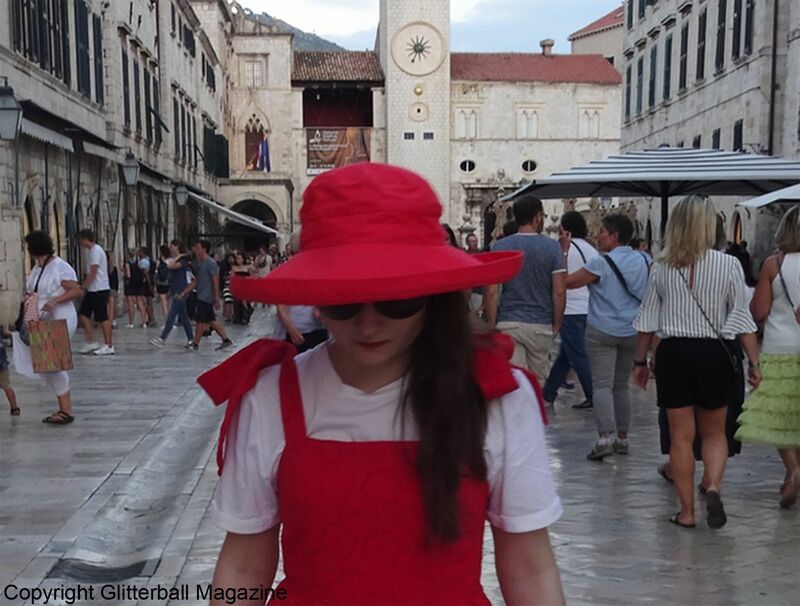 Knowing what to wear in Dubrovnik in September was tricky: would it be mild or sweltering hot, I wondered as I stuffed more clothes in my already overflowing suitcase. No prizes for guessing it was the latter. 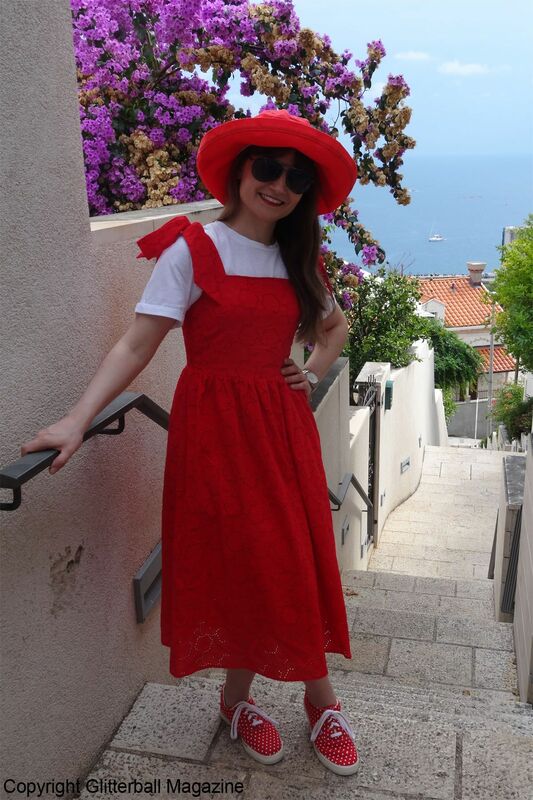 I bought this beautiful red dress about a year ago from H&M specifically for this holiday. Not only is it made from incredible lightweight material (perfect in humid weather conditions) but it has gorgeous kawaii style bow straps. Oh, it’s long too, making it ideal for secret vampires like myself that don’t want to get sun damage. 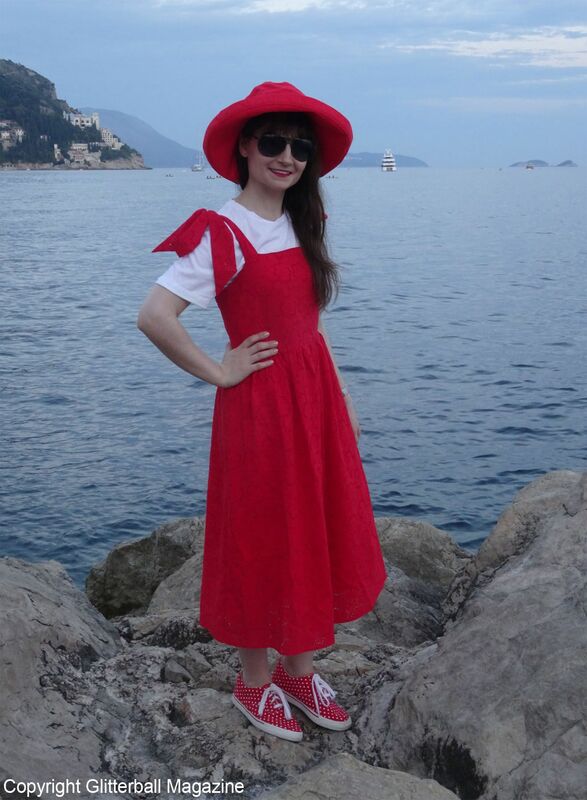 I paired the dress with a classic white t-shirt to give it a modern twist. 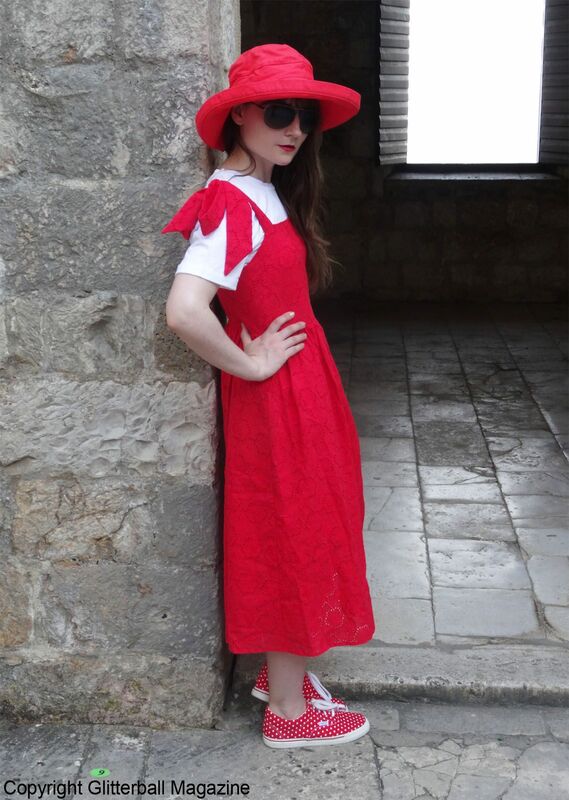 If you follow my blog, you may recognise my hat from a previous Look of the Week from Dubrovnik. 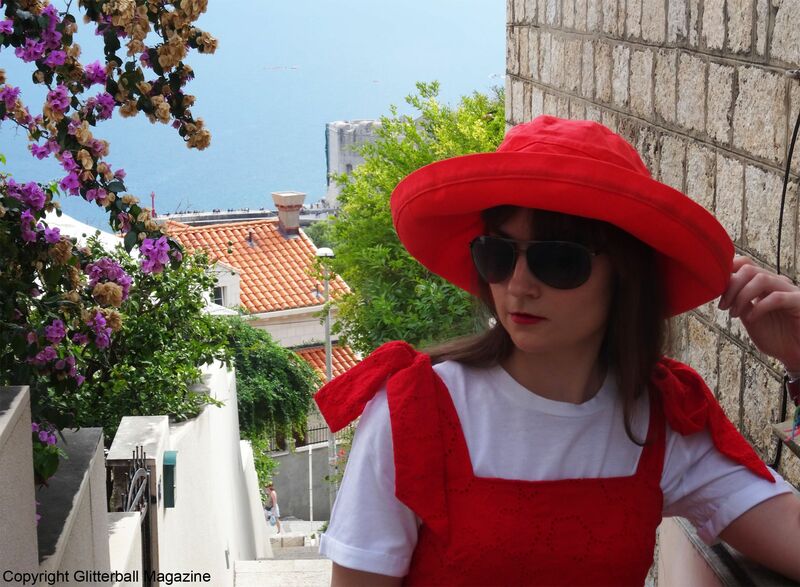 Scala UPF 50+ hats are easy to pack in a backpack or suitcase and keep the sun off my face so I stay cool even in rising Croatian temperatures! 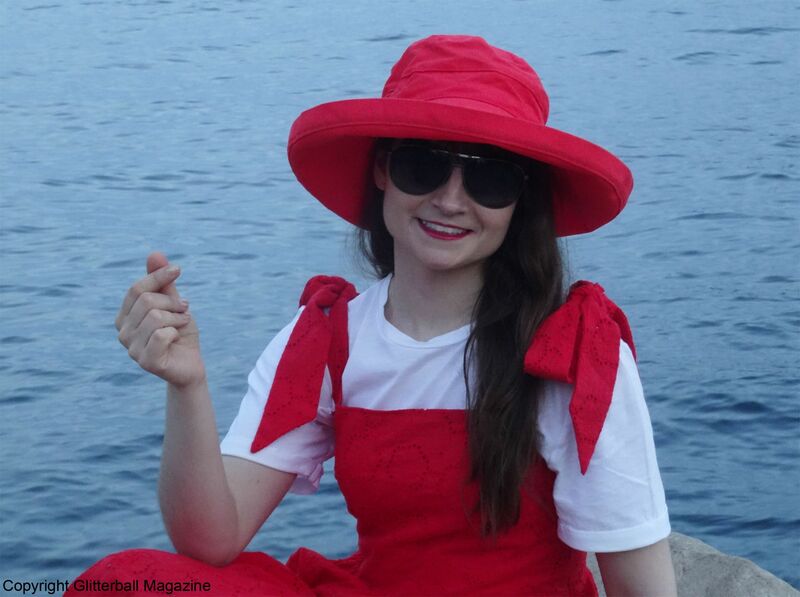 Because UPF accessories and clothing protect our skin from harmful UVA and UVB rays with an inbuilt Ultraviolet Protection Factor (think of it as sun cream in your clothing), they’re my go-to hat to protect me from the sun’s UV rays. I’m a huge fan of Startas shoes. 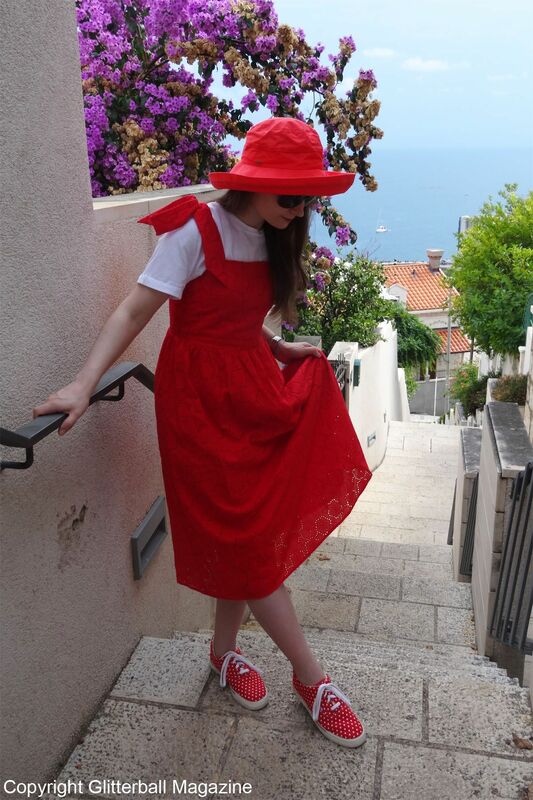 Designed and made in Croatia, they’re comfortable, available in a wide range of patterns and styles and they’re excellent value for money (they cost approximately £20-£25)! I’ve been obsessed with them since 2015 when I bought three pairs #sorrynotsorry. I picked these up in Split, Croatia before I set sail for Dubrovnik. 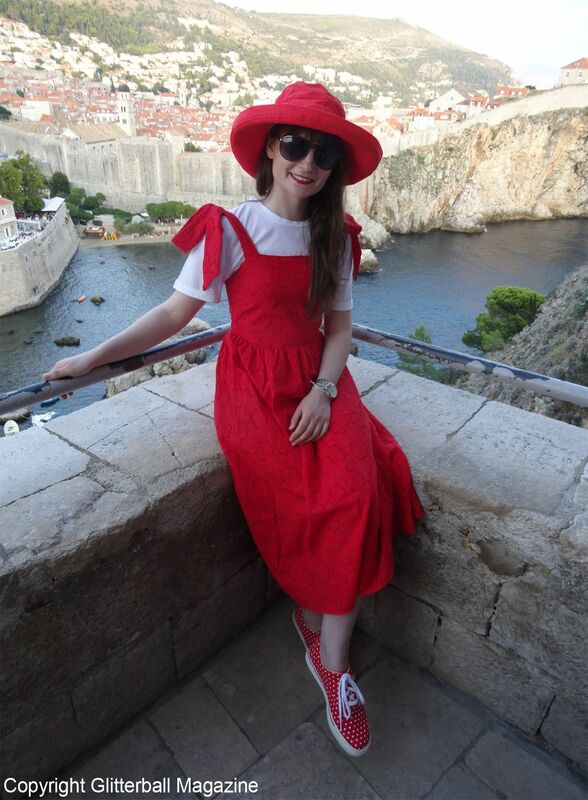 This outfit was perfect for walking around the city walls in Dubrovnik as well as my hunt for the Startas shop in search of their iconic red checkerboard trainers. I already own one pair but as any shoe addict will tell you, it’s always good to have a backup. 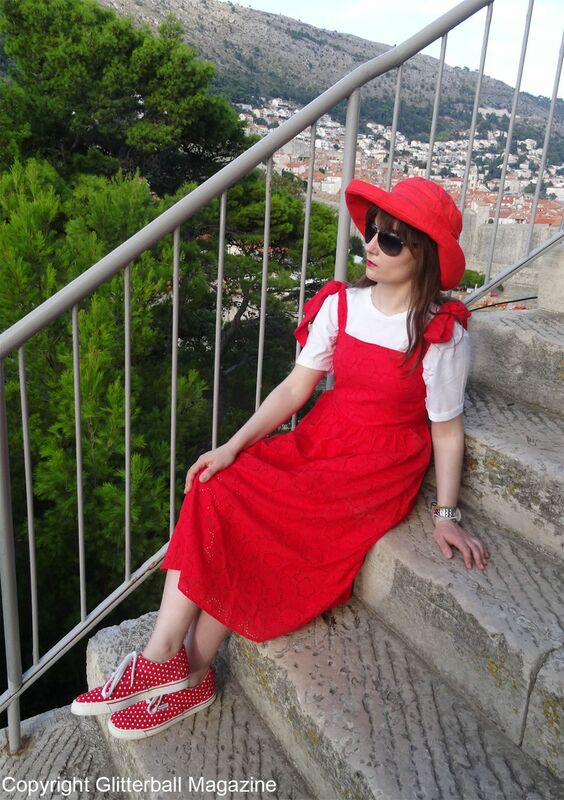 After being told in Split that this beautiful style has been discontinued (I’m not crying, you are), I thought I’d try my luck in Dubrovnik. It makes no sense to stop making best-selling shoes that celebrate the Croatian National Football team as well as the country’s iconic flag, right? Shoe update: I couldn’t find the shop. 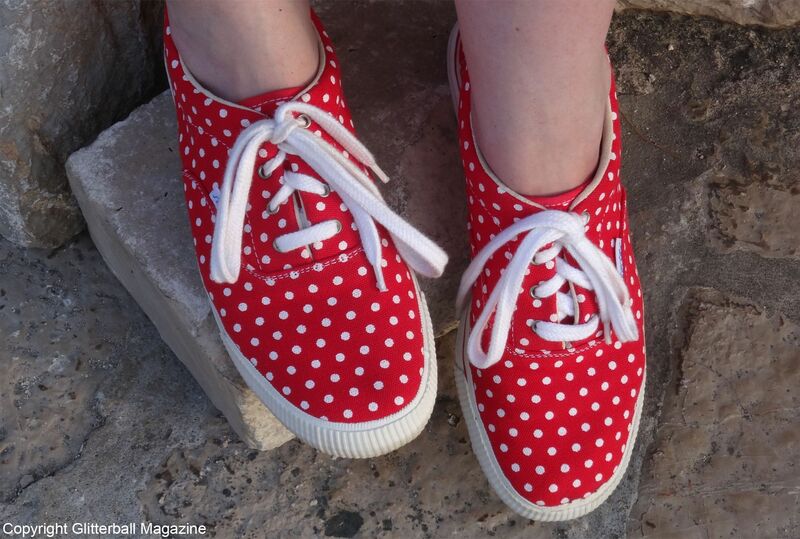 Startas, if you’re reading this, please sell the red checkerboard shoes again! Other accessories for this look include a chunky men’s watch, my trusty Brazilets and aviator style polarised sunglasses from Polaroid. If you want to see my photograph with the Croatian football legend Slaven Bilić, you can check out my Instagram post about it today!